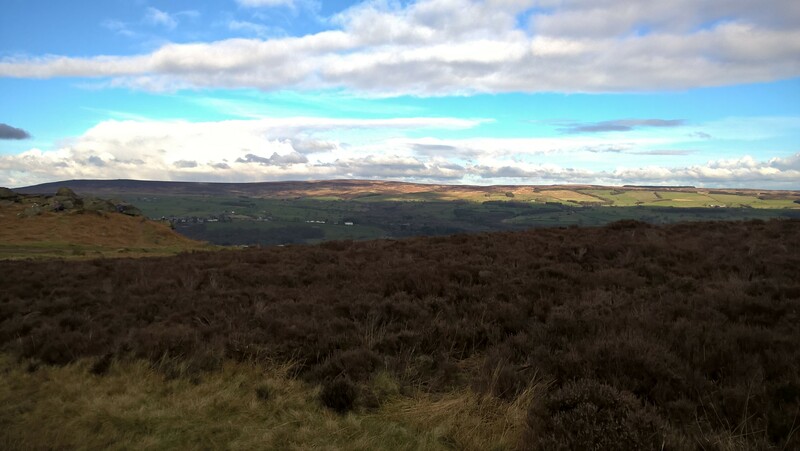 The Yorkshire moors are cold, this time of year – cold and dramatic. But when the sun shines and the frost bites, when flecks of snow fly, gentle, on a breath of wind – then, they are soaringly beautiful. 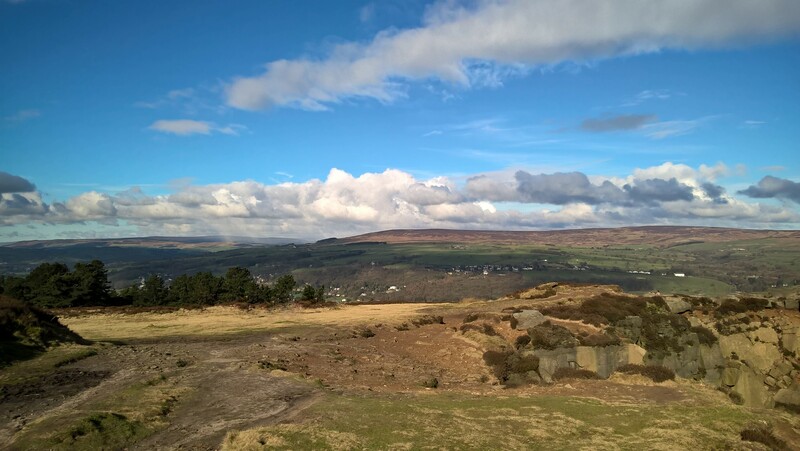 Is that the image you have of the moors the Brontë sisters knew? 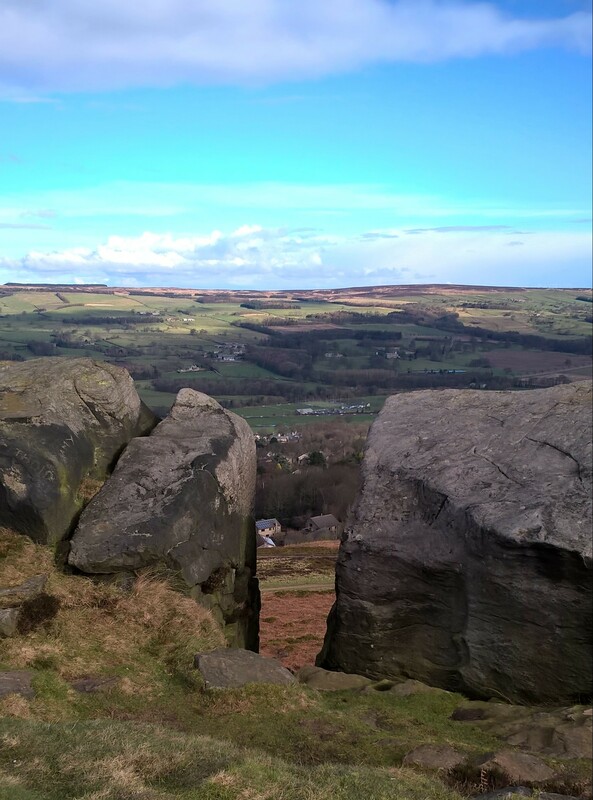 Their moors are more often seen through the eyes of wild Heathcliff or sad Catherine Earnshaw. Or conjured by Kate Bush’s evocative song, named after the novel, Wuthering Heights. 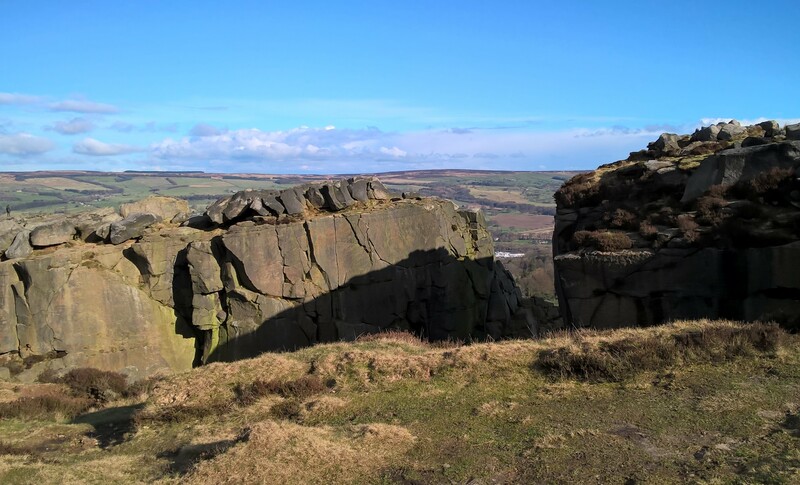 It was Emily Brontë’s only published novel – but what a novel. Like her sisters, she also wrote poetry and the quotation in the title is from her poem ‘Remembrance’. It was written in 1846, some 170 wild Decembers ago, the year before her masterpiece was published. Ever since I was eight I’ve felt a connectedness to the Brontës. Not because of Catherine Earnshaw (my family name) – but because of a bakery. The happiest home of my childhood was just outside Thornton on the edge of Bradford, in Yorkshire. There I roamed the snowy hills with friends, bought sweets in the village shops and, one Christmas, with shillings saved from my pocket money, a miniature bottle of Brontë liqueur for my father. On Saturdays we bought our bread from the village bakery and while my mother shopped, I wondered. Two doors away a metal plaque adorned the wall of a tiny stone house. It was the birthplace of Jane Eyre. Well, that’s how I translated it. Charlotte was born there 200 years ago, in 1816. 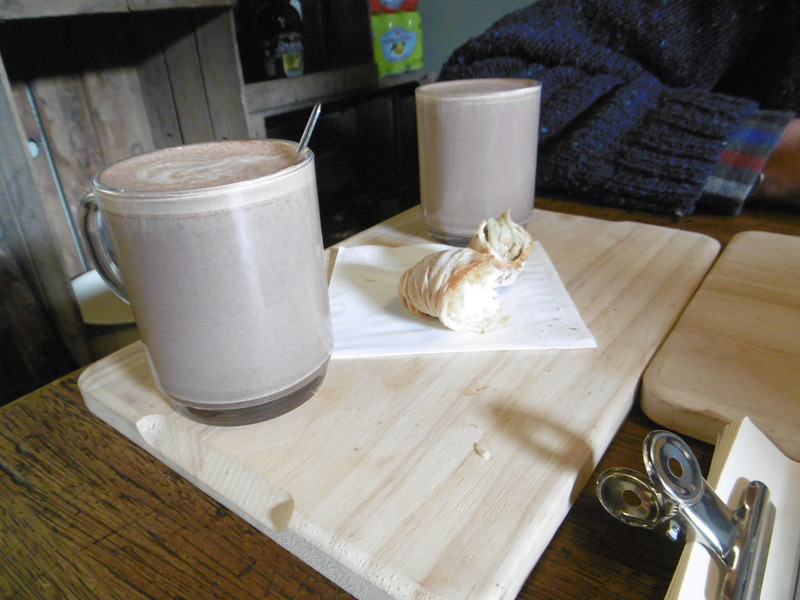 The house wasn’t open to the public when I lived nearby, but now, a delicate pastry and a glass of hot chocolate can buy you entry as it did for me, revisiting childish haunts. Anne, Emily and Branwell were also born in this tiny house and, with the older girls, Maria and Elizabeth, they made six. How the Reverend Patrick and his wife Maria coped it’s hard to imagine. It wouldn’t be deemed big enough for four these days. 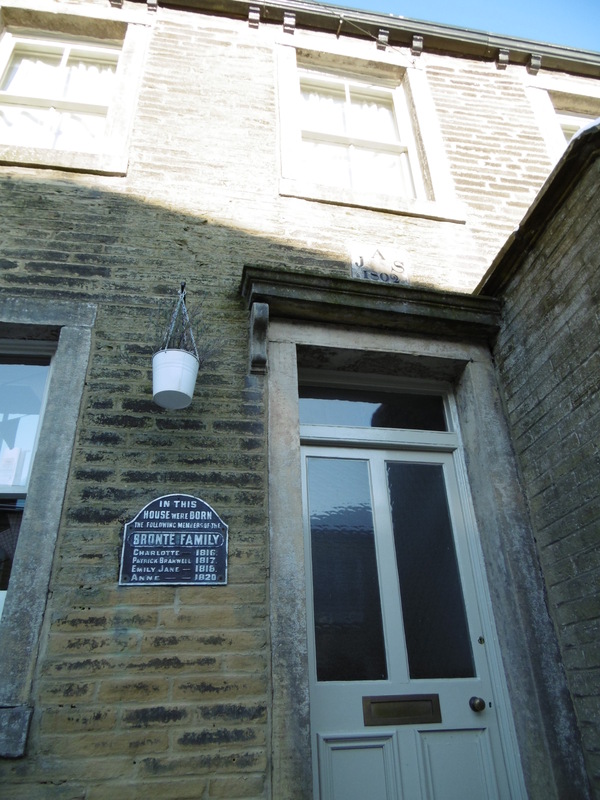 In 1820, they must have been relieved to move to the somewhat bigger Georgian Parsonage at Haworth that was to be their final home. In Haworth death was a very visible presence. Between the house and the church lay the ever expanding graveyard. There the Reverend Brontë would have spent many a dismal hour sending souls on their way. At the time, over 40% of children died before the age of six and life expectancy in the village was a shocking 25.8 years. 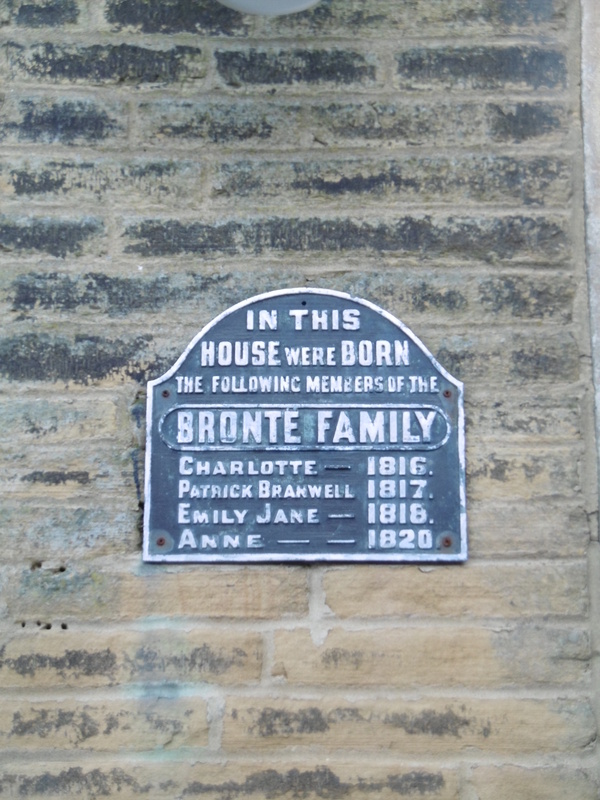 The Brontë siblings all exceeded that – but not by very much. Their family history makes harrowing reading. 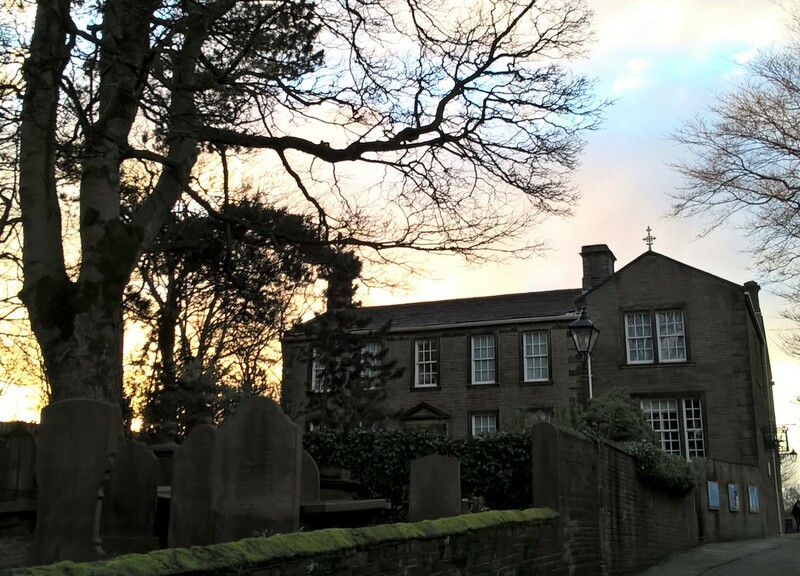 Within a few months of arriving in Haworth 38 year-old Mrs Brontë died. Anne, her youngest child, was not yet two. Maria and Elizabeth, the oldest children, succumbed next. They were brought home, sick, from school, only to die of consumption, that invisible member of so many Victorian families. The only boy, Branwell, a drunk and an opium eater, died in September 1848, swiftly followed by Emily, in December. He was 31, she 30. Branwell, a failed artist, left us a dour painting of his three literary sisters, with an odd, discoloured gap where he had painted over his own silhouette. How hard it must have been for the Brontë son. Heaped with expectation, fulfilling none of it. A few months after Branwell’s death, in 1849, the youngest of the sisters, 29 year-old Anne, gave up her ghost. For a while things looked brighter for Charlotte, the last remaining sibling. She married in 1854 and after a honeymoon in Ireland became pregnant. But her destiny did not include motherhood. Three weeks before her 39th birthday in 1855, she lay dying, her clergyman husband kneeling, praying at her side. It can hardly have been the most uplifting of homes. But – above the depressing village stretched those wonderful moors. It’s almost a cliché of Brontë lore, the influence of the moor on the authors. Almost as much a character in their narratives as Jane Eyre’s Mr Rochester – and never more so than in Wuthering Heights. But after visiting the museum, my image of the Brontës is transformed. The grim, real-life saga of sickness, death and passions unrequited, is, like the moors, still central to my image of their lives. But what of the wallpaper and curtains, the housekeeping, dresses and shoes? The minutiae of daily life? The mementos? The poignant, almost grotesque wisps of hair, from Charlotte’s five dead sisters’ heads. A sprig of heather sewn to her mourning shoe with Emily’s hair. Charlotte’s exquisite wedding bonnet, now faded but once green and white. Someone described her as looking like ‘a little snowdrop’. Had I ever pictured her in a deliciously pretty hat, a fragile blossom in winter? How could I imagine her impossibly tiny, slender and long her hands were, if I hadn’t seen her gloves? My pilgrimage to the family home made each Brontë real, in a way the little house in Thornton never could. Tearing ourselves away from the house, with me wiping away a tear, we crossed the cobbles to the church through the waning afternoon. There was a raw chill inside. Recorded music played in the background, as if a ghostly organist was practising dismal hymns. By a side altar, set into the wall, was a marble memorial. So simple, so sad, that the tears welled up again. 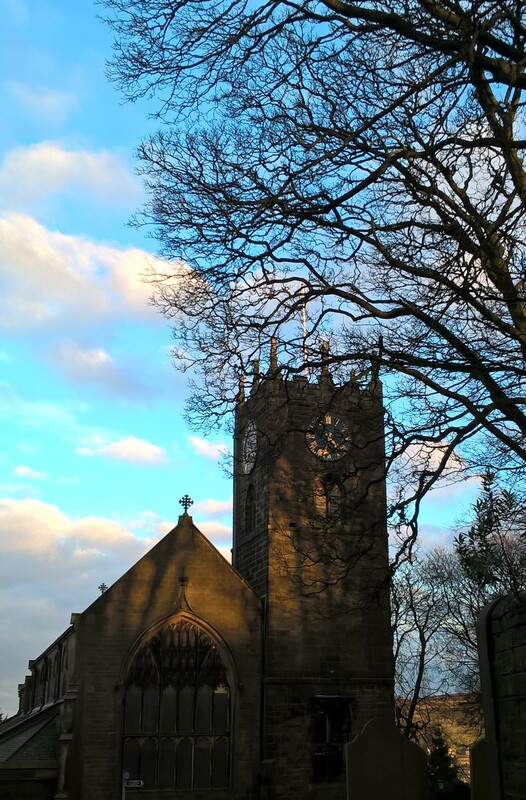 ‘In memory of Maria Bronte …’ it began, in 1891. “Also …” began the next line. And the next – and the next – and the next – and the next – and the next. The Reverend Patrick Bronte, set free at last, in 1861, his 85th year. Poor man. I hope his faith was a consolation. So many wild Decembers, so alone. 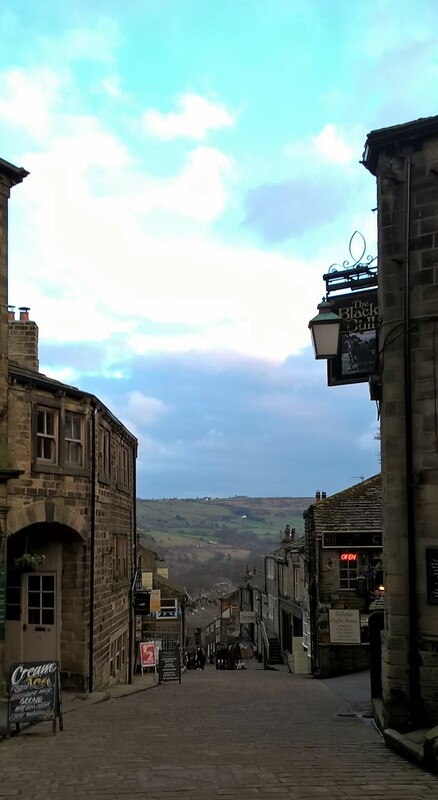 This entry was posted in Art, jaunts & going out, Britain now & then, Yorkshire and tagged Anne Bronte, Branwell Bronte, Charlotte Bronte, Emily Bronte, Haworth, Jane Eyre, Kate Bush, Thornton, tuberculosis, Wuthering Heights, Yorkshire moors. Bookmark the permalink. Ah, thank you Cinderz! It was a very moving experience and if ever you are able to visit do. You won’t be disappointed. There is a virtual tour on the Haworth Parsonage website but it doesn’t quite convey the same feeling. Once again, thank you for reading – and for commenting. There is something about standing in the actual spot. Seeing the actual place that makes it all so much more solid and real. Something reaches back and calls up what was there then. Hope you find many happy uses for it!Thanks again for the kind words. I’m not one for lingering in museums… sometimes not one even for entering as the G.O. will attest but I adore wandering through old houses and old streets wondering at the lives lived and their accoutrements. I love the domesticity and intimacy. Often I feel rather than experience them simply as a spectator I should, could quite comfortably make myself at home, and bring them to life again.